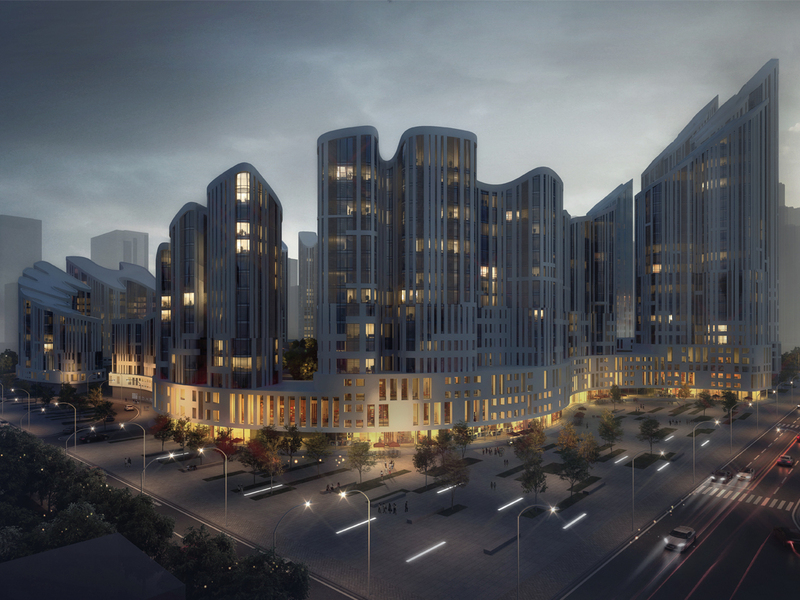 The Honliv H. Gardens project is intended to be a high-end development which sets a new standard of living for China. The program of 258,000 m2 of housing is combined with reinforcing programs such as retail, clubhouse and services. 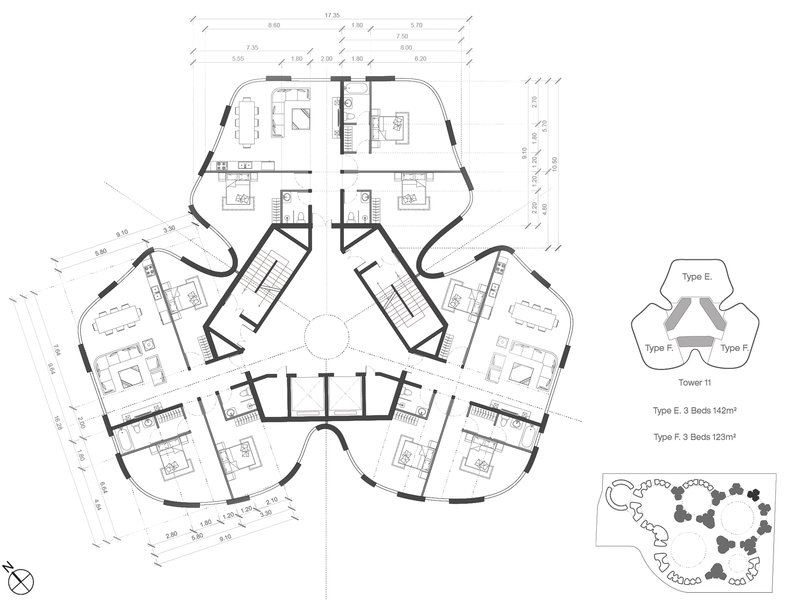 Through variations in density and typologies it offers a wide range of qualities of spaces, allowing for unique living experiences. The ultimate goal of the project to incorporate a range of life style choices and varying living conditions, while creating a unified complex with architecture reinforcing ‘Honliv H.’ as a brand which can be replicated on other sites. 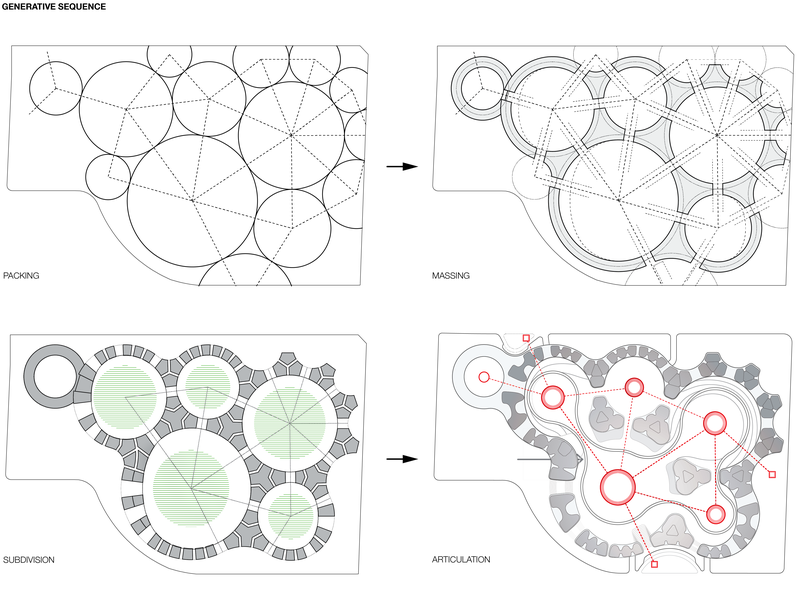 The project is generated through an underlying mechanism of circle packing, creating a series of circular courtyard garden spaces of varying character. 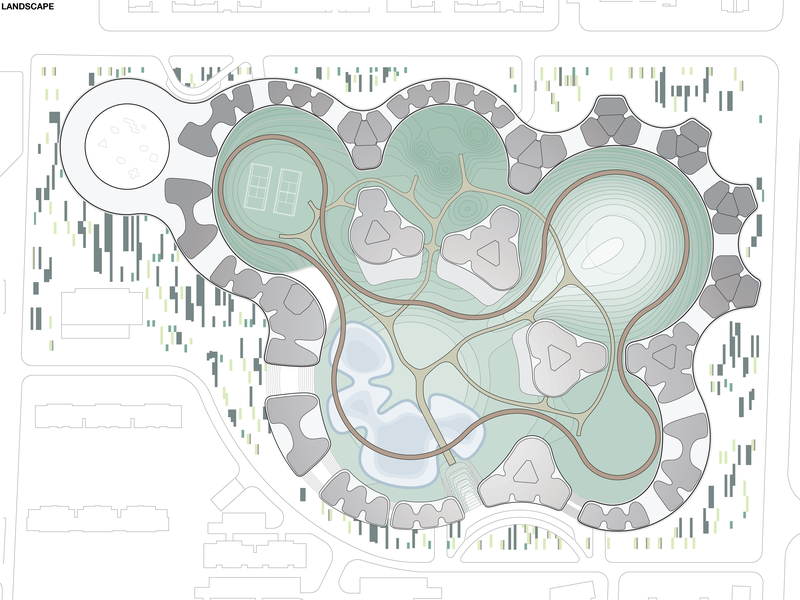 The computationally optimized packing logic is driven through site specific parameters: locating smaller circles towards the north-east corner to create a more high-density urban massing and using larger circles toward the inner and southern areas to create clustering around large green park elements. The tower massing is further refined through an architectural language that blends the edges and merges volumes together where appropriate. 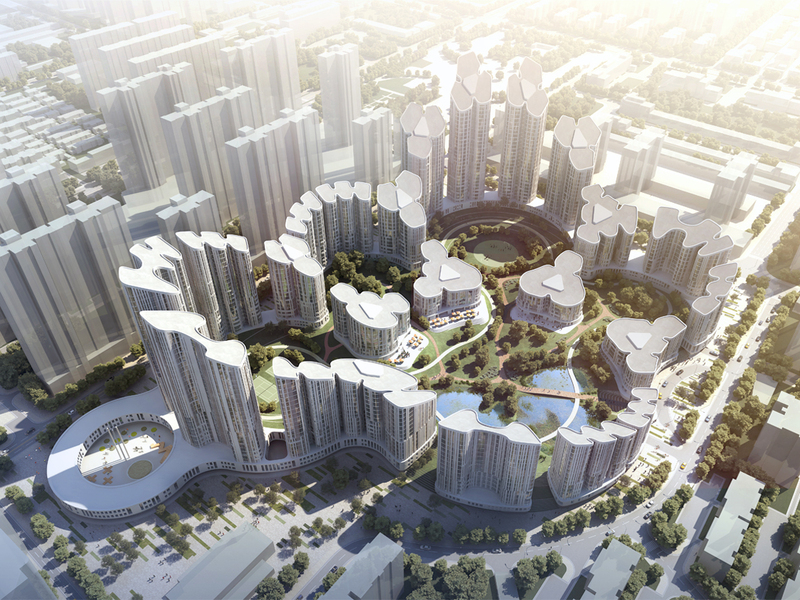 This results in three different types of bundle tower typologies that are in principle very similar to existing housing tower layouts found in China. The volumes are clustered to create mostly towers with three or four apartment per floor, to maximize the efficiency of integrated elevated cores. 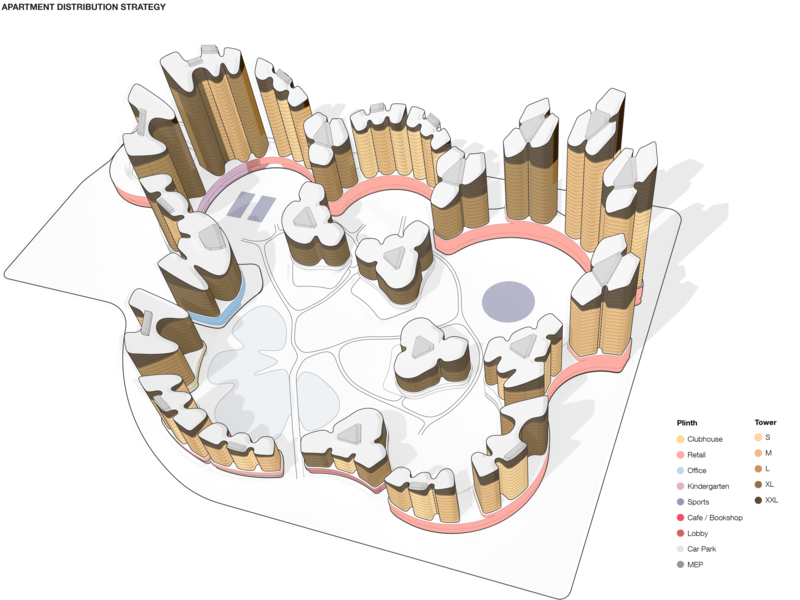 A series of landscape elements are introduced to locate different leisure activities and garden themes around the site. 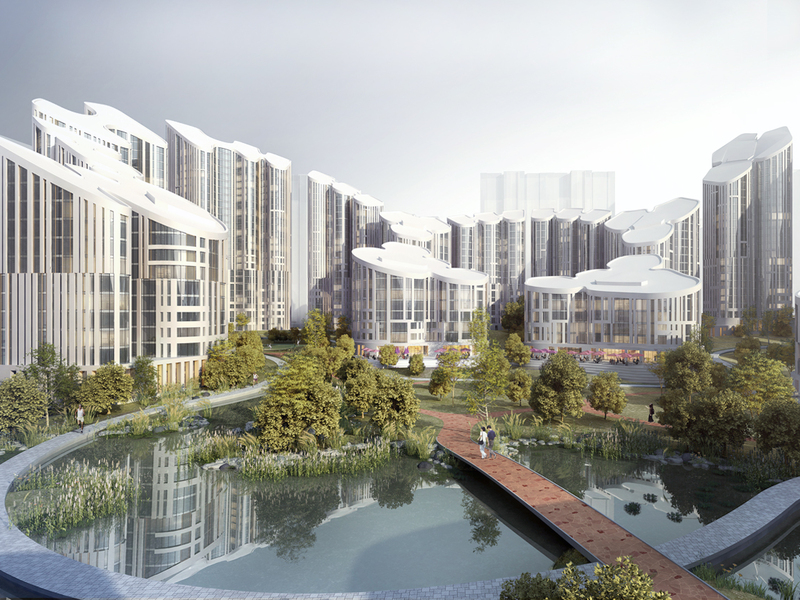 Amongst the high-rise towers to the northeast and north-west corners of the site are sports fields, while the medium height courtyards contain secluded park spaces and beautiful landscaped gardens with dense vegetation. The largest garden contains a landscaped water feature and bridge connection from the main entrance to the south, referencing principles of traditional Chinese garden architecture. 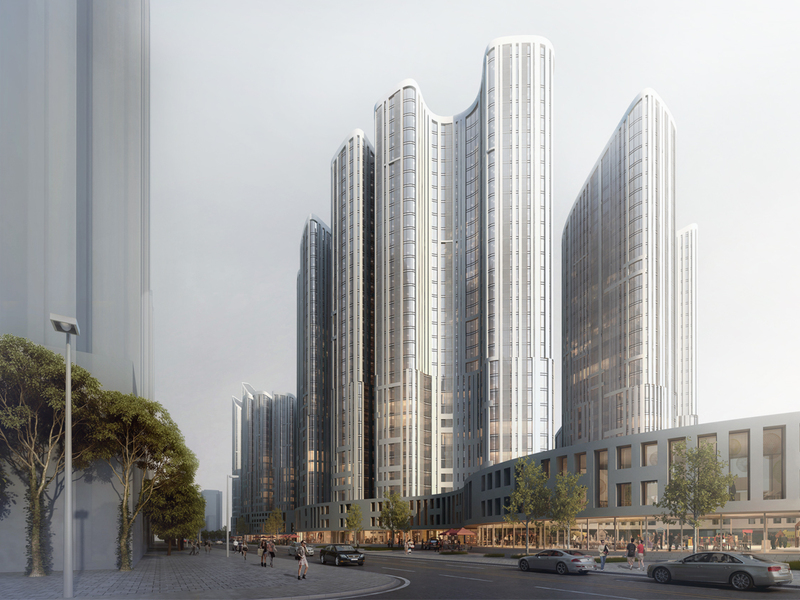 The project contains a large parking garage on the inside of the project, giving direct access to the various towers for residents. 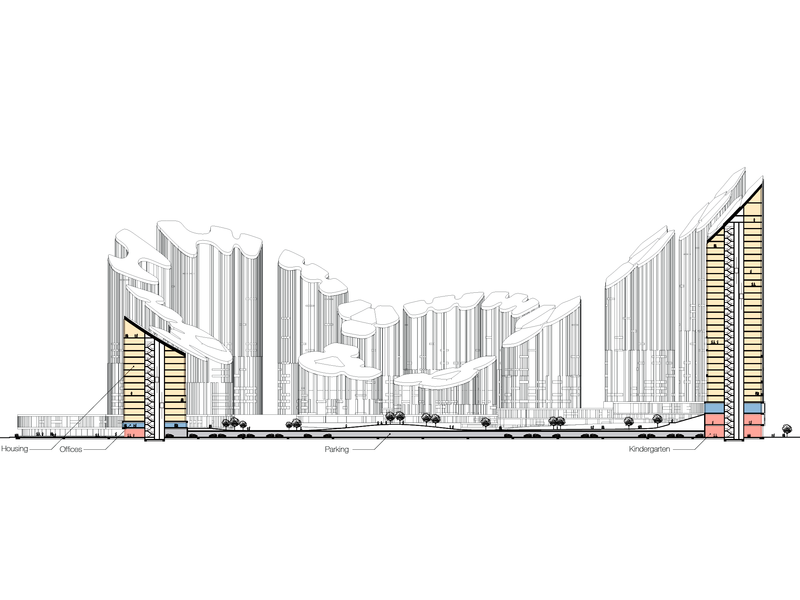 It also integrates a strip of retail spaces around the perimeter at the north and east sides of the site, which continues at higher levels and is accessed from the outside of the site. Clubhouse facilities are located at the center of the plot to emphasize the exclusivity of these programs and allow them to engage with the landscaping of the gardens, creating a varied three-dimensional landscape with different zones that vary from public activity areas to small gardens with a semi-private atmosphere.